Everything in nature is orchestrated in an aesthetically pleasing manner to make this beautiful world where we live in. The golden ratio is an number denoted by  phi ϕ and is exceedingly found in many areas of science, architecture, mathematics, art etc..
Golden ratio also called the divine proportion, or the golden mean is often as its name suggests highly eccentric in its own way. It finds tremendous applications into various fields. However the existence of golden ratio is not always a necessity. Then why is it important ? Here comes the “aesthetic “ aspect. The role of the golden ratio in enhancing the aesthetics is still a matter of great debate among the mathematicians and scientists . But its existence is not questionable. Have you ever wondered why the monalisa painting is so mesmerising ? Or why the Taj Mahal is so beautiful? Well the answer to all these questions come from the golden ratio. It has a numerical value of 1.6180399887…..
Monalisa has several golden rectangles in it. A golden rectangle is a rectangle in which the ratio of the length of sides are in a golden proportion. We could go on inscribing golden rectangles inside a golden rectangle and end up with a golden spiral. And Monalisa’s painting just shows the existence of one such spiral. Golden ratio is also found in the Vitruvian man which depicts all the golden ratios that occur inside the human body. Several architectural constructions have golden ratios in them which makes them very beautiful to look at. 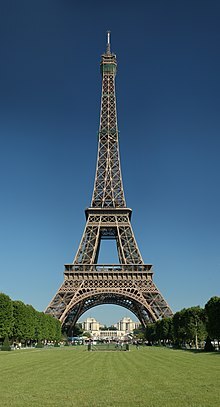 The Eiffel tower, the Taj Mahal ,the Partheon are just a few examples. Even the gothic architecture shows the existence of golden ratios in it. In nature, we find several naturally occurring patterns that have golden ratio in this . An example would be the disc florets of sunflower. Even the arrangement of petals in several flowers occur in a golden ratio. This page was last edited on 12 October 2017, at 10:28.